2 posts in one day?! At least the desserts were made separately, otherwise there would be teeth falling out and zippers refusing to be pulled up. Thank you, floss obsession, Mari Winsor and Billy Blanks. The July 2010 Daring Bakers’ challenge was hosted by Sunita, of Sunita’s world – life and food. Sunita challenged everyone to make an ice-cream filled Swiss roll that’s then used to make a bombe with hot fudge. Her recipe is based on an ice cream cake recipe from Taste of Home. This was the perfect challenge for midsummer. It allowed me the excuse to make ice cream from scratch again, and to create a Swiss roll (something I've wanted to do for a long time.) 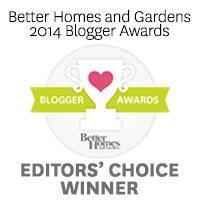 The results were stellar! The only obvious problem was trying to get a photo of a cake slice before it melted in the sticky, afternoon sun. Sunita allowed us the freedom to play around with the Swiss roll flavour and the filling. 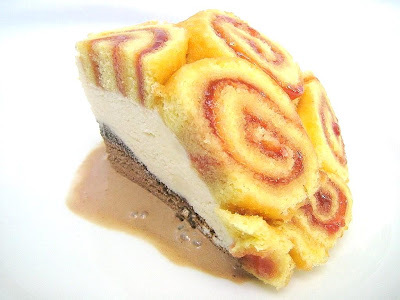 The recipe that she used was a gorgeous chocolate roll filled with vanilla cream. For some reason I was craving a plain, berry filled version. The cake is basically the same but I omitted the cocoa powder and added a bit more flour. For the filling I made a simple raspberry coulis, similar to the recipe I used for the white chocolate brownies. 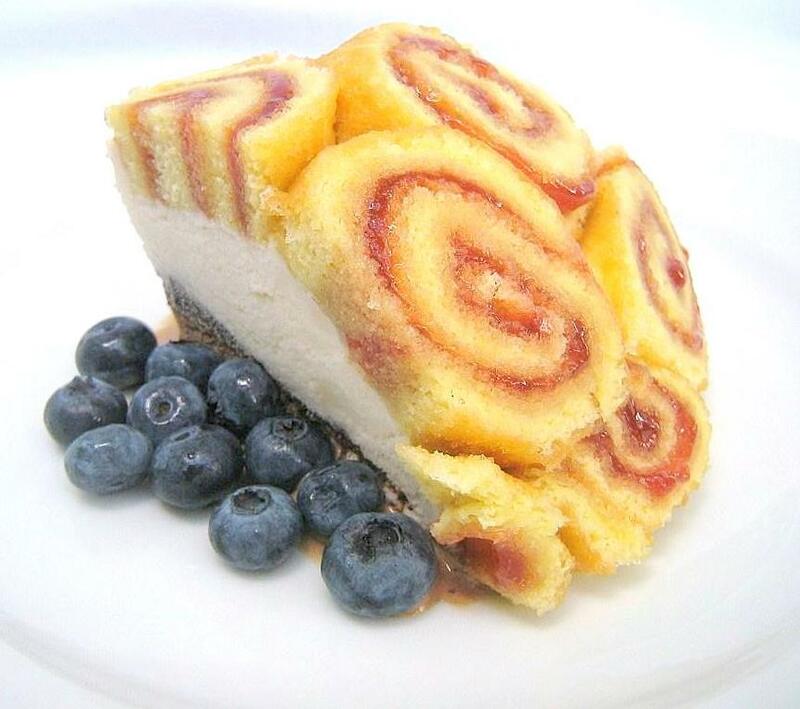 There is something that I find so irresistible about a soft cake wrapped tightly around a tart, berry filling. Not only is it beautiful to look at, but the texture feels so wonderful when you bite into it. And the tartness from the berries bursts out of the sweet cake layers at various intervals during the chewing process. Yum. Blueberries were not invited to this party. They were merely props to add some colour and pop to the photos. Sorry if their presence raised some hopes out there. The ice cream layers consisted of classic vanilla and chocolate, with a layer of fudge sauce in between. 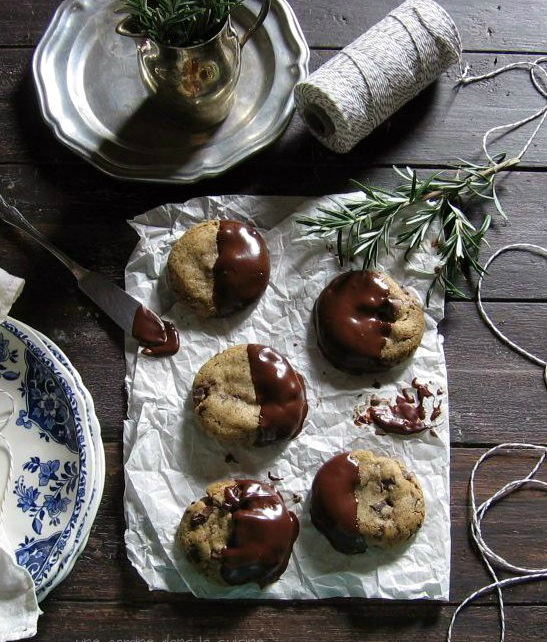 Yes, that's right, fudge sauce. Because the actual cake and 2 flavours of ice cream were too healthy to be left on their own. If you look very closely at the sad, melting cake slices (especially the one above) you can see the thin line of frozen fudge, happily sandwiched among the 2 ice cream layers. This was a dessert that truly had to be savoured to be appreciated. There were so many dessert forms, you almost didn't know where to begin. But just like all good things, this didn't last very long. It melts as soon as it hits the plate, leaving you little time to contemplate it's complexity. Personally I enjoyed a forkful right down the center so I could sample each layer in one massive bite! In a large mixing bowl, add the eggs, sugar and vanilla extract. Beat till very thick; when the beaters are lifted, it should leave a trail on the surface for at least 10 seconds. Add the sifted flour, in three batches and fold in gently with a spatula. Fold in the water. Place a pan in the centre of the preheated oven and bake for about 10-12 minutes or till the centre is springy to the touch. If you are using frozen berries, thaw them to room temperature first. In a medium saucepan over medium-high heat, bring raspberries and sugar to a boil. Reduce heat and simmer, stirring occasionally, until mixture starts to thicken, about 10- 15 minutes. Press mixture through a fine-mesh strainer, using a spatula to extract as much liquid as possible. Discard seeds and skins. Stir in 1 lemon juice. Taste and add more sugar or lemon juice if you like. Set aside to cool slightly. 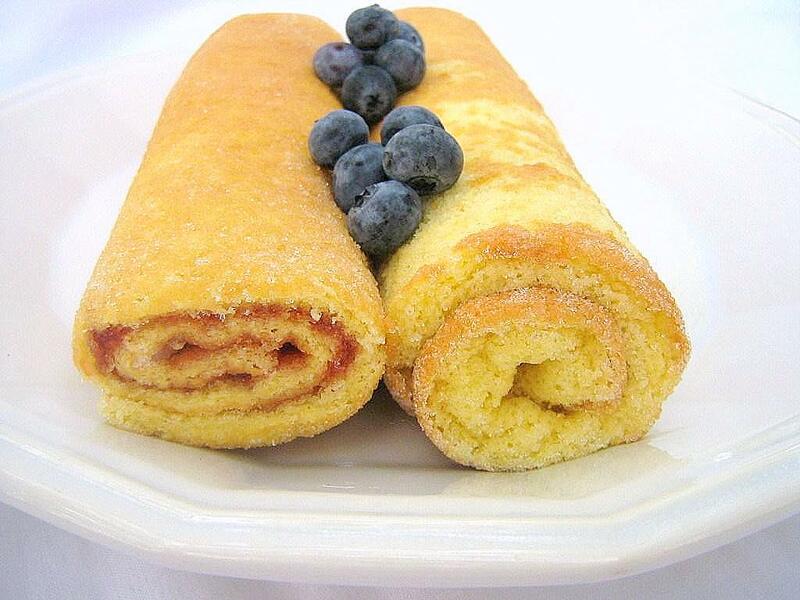 Very slowly, gently unroll each of the cooled cakes. Spread the coulis over both cakes, leaving a 1/4-inch border around the edges. Roll up the cakes again (without the towel.) Wrap them tightly in plastic wrap and, seam side down, refrigerate until needed. Remove from heat and mix in the butter and vanilla. Keep aside to cool. Such perfect rolls! Your bombe sounds delicious and looks amazing! Well done! absolutely fabulous!Looks so chic, BRAVO! Your bombe is very pretty! You did a great job! Yours was definitely one of the most perfect looking bombs made for this challenge. Sounds delicious too! I love how you did yours, Valerie! It's such fun to see the many variations...I very much like the raspberry/chocolate/vanilla combo. And your bombe is very elegant! That photo looks sensational. I don't think I'd ever try a recipe with that many steps, but I definitely appreciate everything you put into it! Great job, how awesome the different flavors you chose. This really has the wow factor. Just joined up to be a daring baker, very nervous about my first challenge now that I've seen this beautiful creation...! I'm definitely too lazy to make something so grand, but I might have to try the jelly roll. 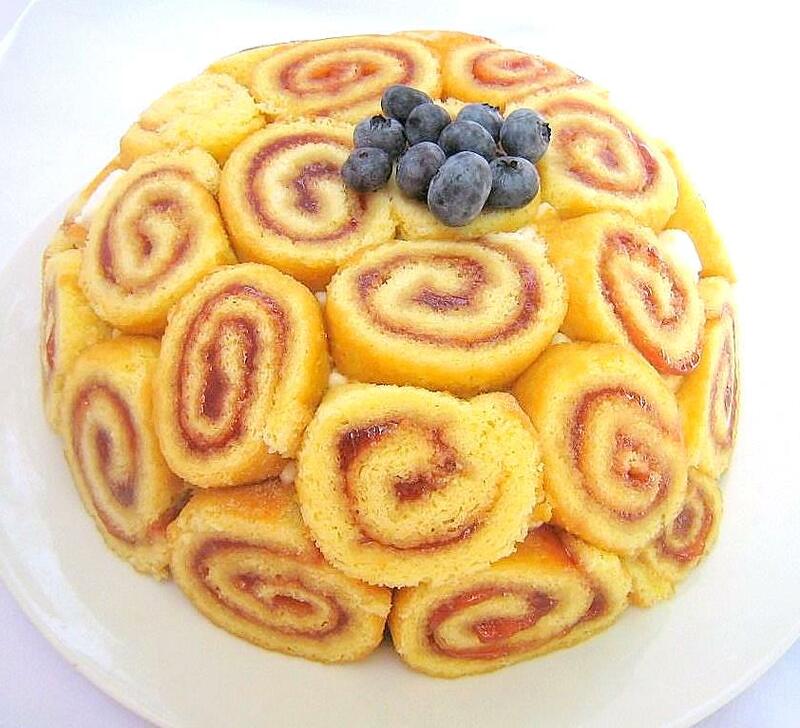 Looks really delicious, and I know Cauldron Boy would appreciate a good jelly roll. Hope your'e doing well by the way. p.s.-I've decided I want to move to Hawaii-need scheme to do so (smile)! Saw your pic on foodie views and I had to visit your blog. It looks amazing. I'm not an avid baker but I would love to try this because it simply looks beautiful. Great job. The addition of fruit is a very nice touch. Great job! Wow, wow, WOW - that is gorgeous!!! OMG!!!! !lets face it Valerie, I'd prefer to eat this than make it. It looks really yummy. Love the look of your bombe with the fruity sponge cakes--all I've seen is chocolate. Looks de-lish. I'm not that daring yet...though, I do appreciate beauty. I think you will find this link interesting.